All of our fashion is made of 100% organic cotton and from fair production which is guaranteed 100% sweatshop-free. To make the whole process transparent and verifiable, our clothing gets certified by independent, international organizations. Under "certificates" you find more information about it. Did you know that 25% of the world-wide used insecticides and 11% of all pesticides are used for the production of cotton? No? Then "wake up" is the right place for you. There you will find facts about the nuisances in the conventional T-shirt production. You want to get involved? Then "take part"! 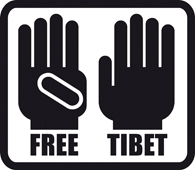 We do that as well and work among other things with the free Tibet initiative. You can find our free Tibet polo-shirts here. And if you want to get an organic and fair T-shirt for free, here you can take part at our competition. We are looking for your reasons for the eco-fair revolution, because we think that the consumers have the power to change the unfair structures of the global economy. And that is you and me. We are looking forward to your contribution. And now have fun with your organic fashion shopping!! !